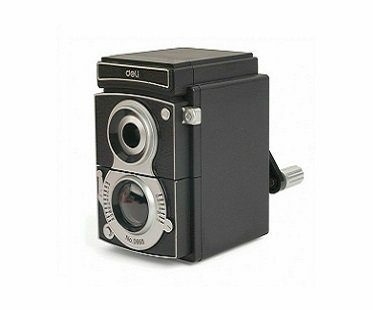 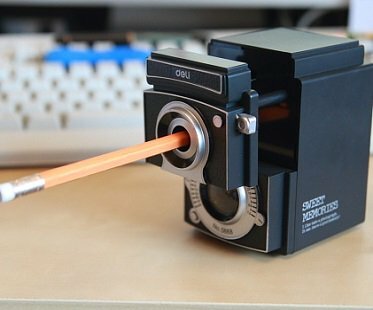 Keen photographers will love using this camera pencil sharpener! 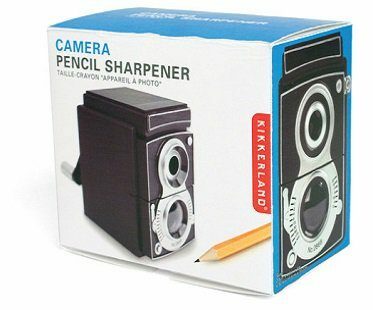 It's retro design will look awesome in your studio or workspace and you can adjust the sharpness depending how you like your pencils. 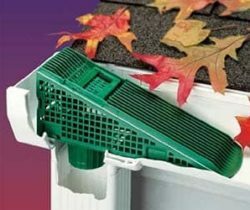 There's even an integrated tray that collects the shavings!